I normally only prime my eyes on special occasions or when I know I need my eyes to really take center stage. In the past I’ve just used face primer and when I have used specific eye primer it went on white and made my shadows have a weird muted effect. Not with this one! Lorac blends in nicely without feeling too heavy. The texture is silky and allows the shadow to really stay in place without compromising the color. This little lady has earned a spot in the daily makeup routine. I had been looking for a sparkly nail polish for the holidays after falling in love with this. While I do love nail polish and makeup, I can’t quite justify paying 18 bones for something that I’m going to apply with a shaky hand and take off a couple of days later. Enter in Butter London. This polish has great coverage and the glitter wasn’t too much. After two coats, I had the color I was looking for. One coat also adds a little bit of classy shimmer over a light pink polish. I’ve run the gamut when it comes to glosses, so I figured I didn’t have anything to lose to give this a try. To be honest, it’s not my favorite. It’s a little too shimmery, which ends up leaving your face shining long after it’s faded, and that is pretty quick. It’s also super sticky. The color isn’t anything to write home about (but enough to blog about). The one cool thing about it, is that it has a mirror on the side of the tube so you can see during application. That’s not a huge deal for me. So, sorry Laura, you won’t be joining the makeup crew. Now, sashay away. Two words: Love. It. Seriously, friends – this eye dust has great coverage, color, and class. The shimmer is tasteful and not too metallic. The color goes great with my eyes and skin tone. PLUS – the packaging is designed with you in mind. I don’t know how many of you use loose powder but there’s always that moment when you’re opening it that you say a quick prayer that it doesn’t explode or fall or just make a mess. Not with this one. It has a little nub that pushes down in the center so that you can get just enough out without worrying about spillage. 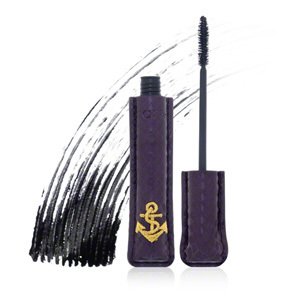 As a Great Lash faithful, it’s hard to step out on a classic. Tarte makes it worth it. It lasts all day without making me look like a racoon by the afternoon. It’s thick but not clumpy. There aren’t a lot of bells and whistles; it just does what it needs to do. I’m all about a product that doesn’t add extra issue to my routine but comes in and adds exactly what I was looking for. Great Bronzer. Not too orange and harsh. 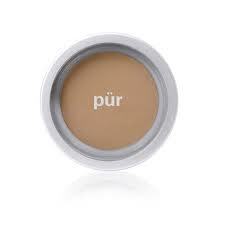 Leaves a nice glow to the face and is great for contouring. Pretty and simple. Much like this product line, it doesn’t need a lot of extra to make it great. All in all, this was a great impulse buy and a nicely put together holiday set. I will keep my eyes open for more like it. Any kits that have you doing some happy dancing? Share in the comments!